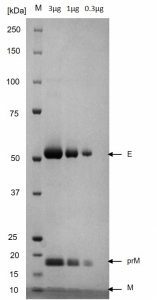 Recombinant Dengue Virus serotype 3 virus-like particles consisting of Envelope, pre-Membrane and Membrane protein produced in mammalian HEK293 cells at greater than 95% purity. 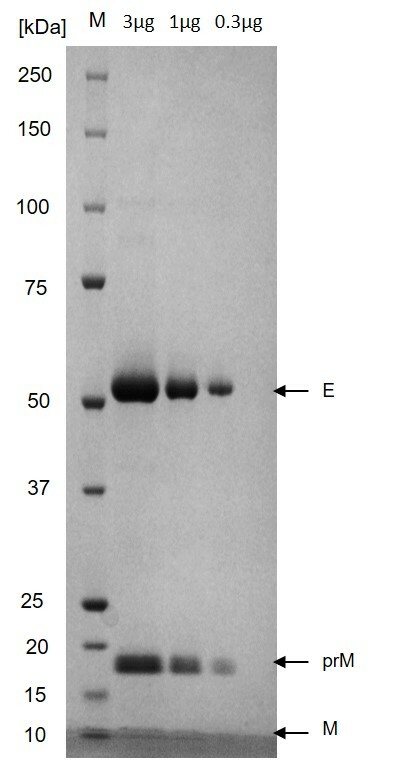 Non-reducing SDS-PAGE gel showing purified Dengue virus serotype 3 virus-like particles; envelope protein (E) at approx. 55kDa, prM protein running at approx. 18kDa and M protein at approx. 12kDa. 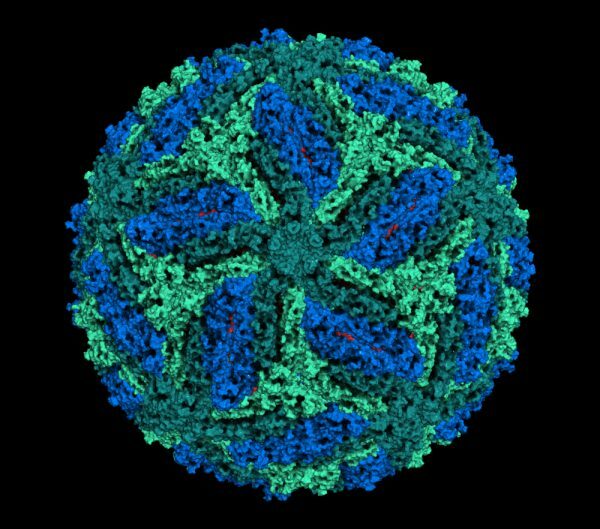 Dengue Virus Serotype 3 VLP (Virus-Like Particle) is a new, unique product that has been developed in response to the need for highly immunogenic, concentrated Dengue antigens for use in Dengue focussed disease research and vaccine development (including use as an immunogen). 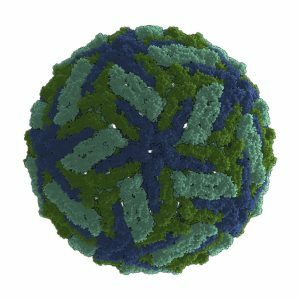 Virus-Like Particles (VLPs) are an emerging vaccine technology. VLPs consist of protein shells comprising outer proteins specific to the virus in question. VLPs are more representative of how viral antigens are presented in vivo and while they are highly immunogenic they are non-infectious as they lack the core genetic material of the virus. 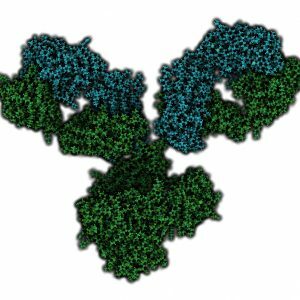 Another important advantage of VLPs is that they more effectively activate key aspects of the immune response to achieve potent immune stimulation and to provide immunological memory. 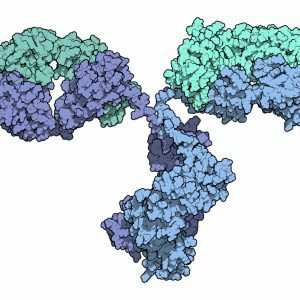 VLP-based vaccines have also shown to provide effective protection and are in current use for several diseases and in development for many others. With more than one-third of the world’s population living in areas at risk of transmission, dengue infection is a leading cause of illness and death in the tropics and subtropics (ref WHO for Guidelines for Diagnosis, Treatment, Prevention & Control, 2009) As many as 100 million people are infected yearly. Dengue is caused by any one of four related viruses transmitted by mosquitoes. There are no vaccines available to prevent infection with dengue virus. Dengue Virus Serotype 1, Serotype 2 and Serotype 4 VLPs are now also available. Publishing research using our reagents? Please let us know so that we can cite your publication as a reference.